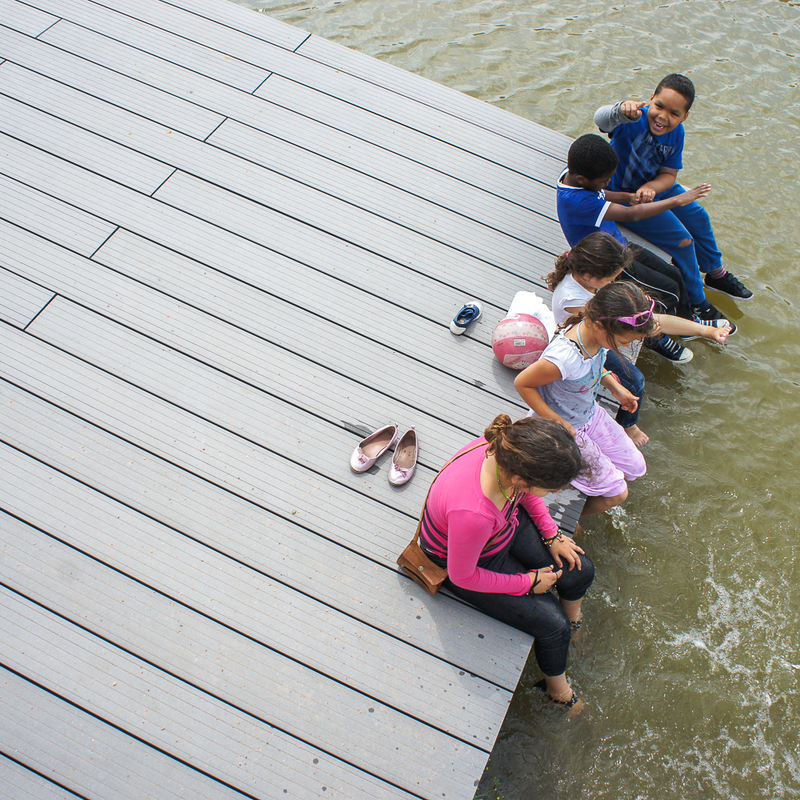 Floating Jetties in straight form. 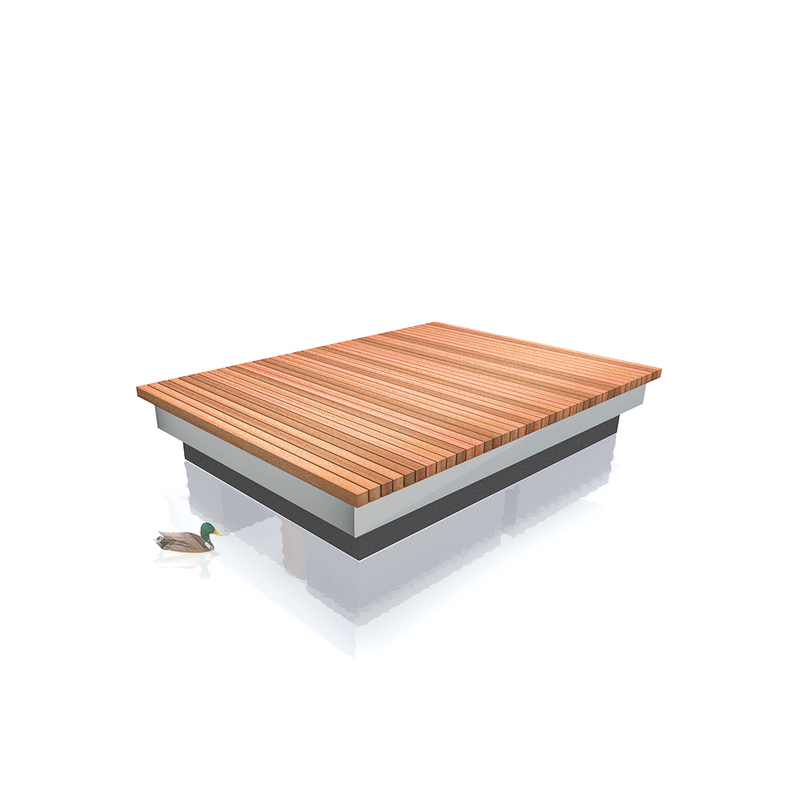 The jetties are fitted with FSC® hardwood Solideck®70 decking, making them the perfect match for Solid Crosswise Benches. 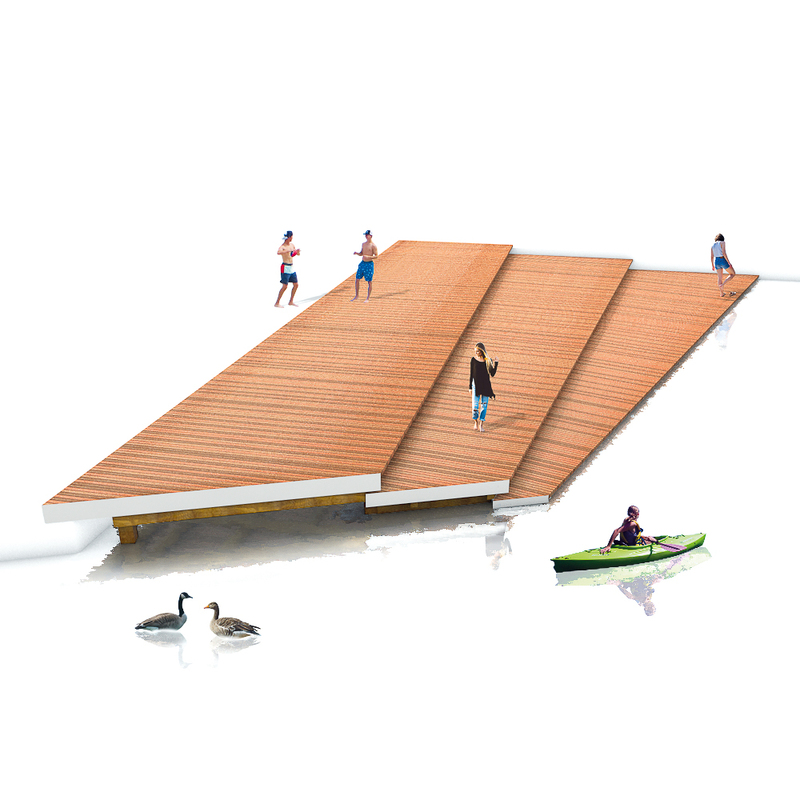 The Floating Jetties system uses modules made of aluminium which are filled with 80% foam. 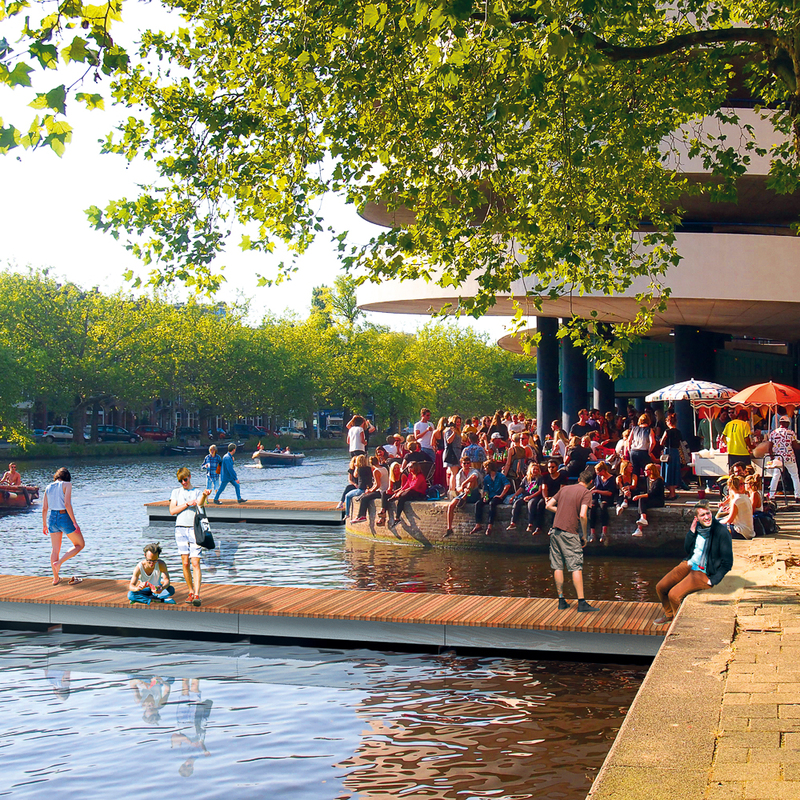 The floating modules are then hinged together and the jetty structure is stabilised on poles.